I always make sure my girls feet are measured regularly and also seek help in getting them properly fitted. Having well fitted shoes is so important as it helps ensure healthy foot development. Ill fitting shoes can create foot deformities which could lead to problems later in life. 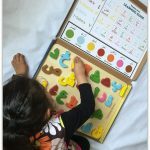 It is recommended that children get their feet measured every 6-8 weeks before they start school and then decreasing the frequency to 3-4 months once at school. 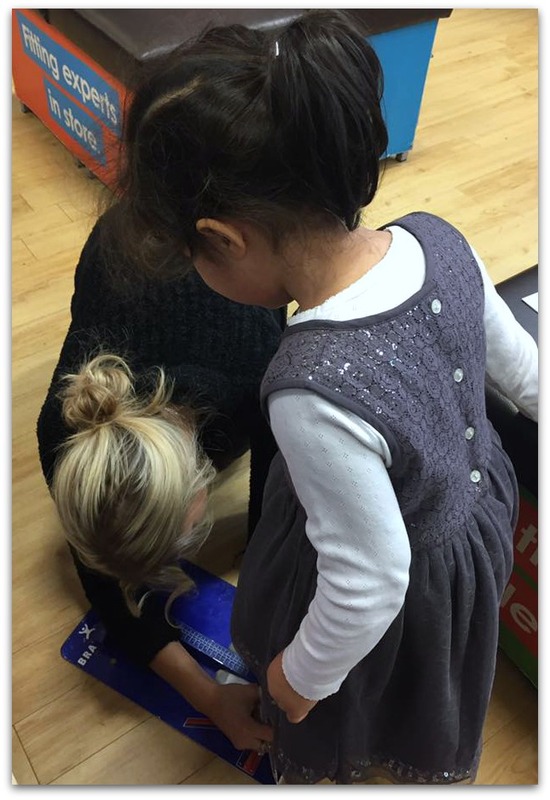 Brantano offer a kids shoe fitting service and the girls were both invited to try it out. 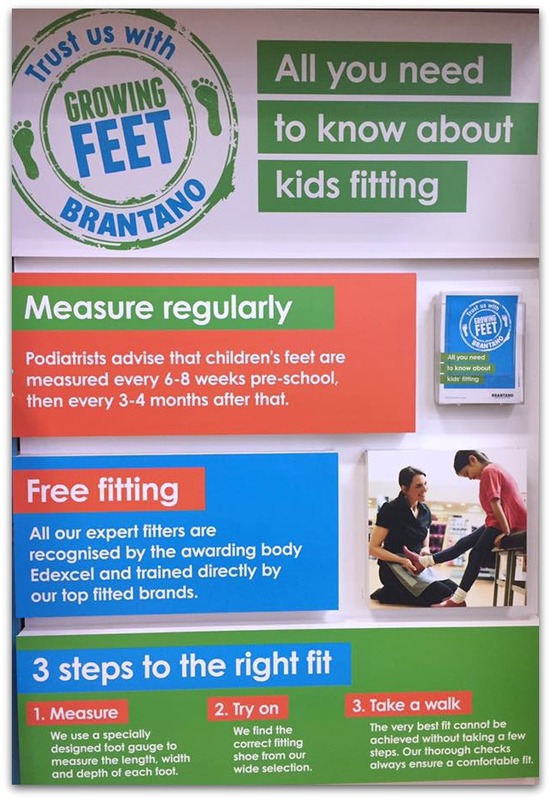 Here at Brantano, we know that your children’s feet are precious and their shoes need to be fitted correctly. 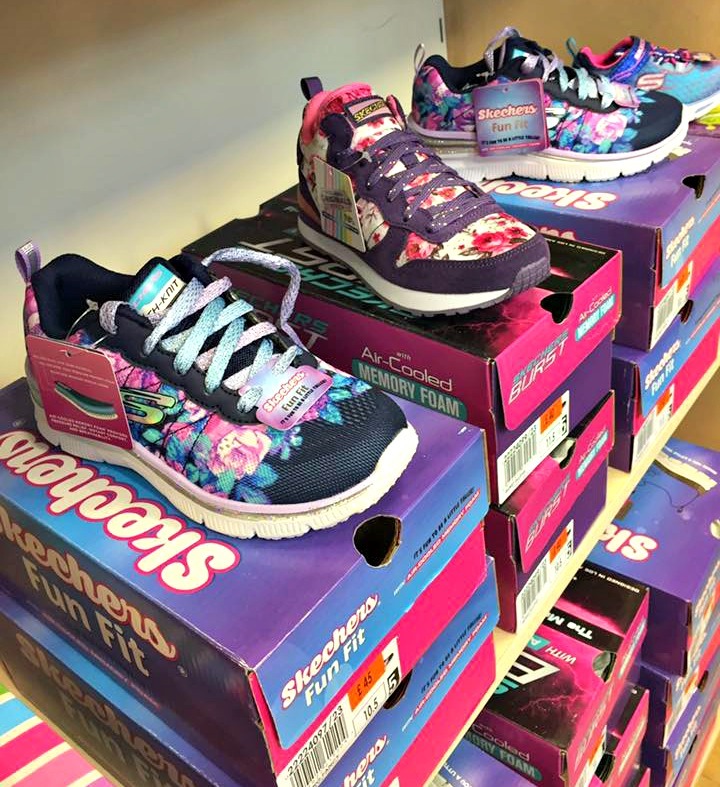 We offer kids’ shoe fitting free of charge, undertaken by our expert fitters, in all our stores across the country. First both of the girls were measured with the foot gauge. The foot gauge told us the size and width of their feet. The girls then picked some shoes to try on. My eldest was a bit undecided but Bee immediately went for the ‘colourful’, ‘sparkly’ and ‘glittery ones’! Once the shoes were fitted the girls went for a walk in the aisle to make sure the shoes were comfortable. The whole process was relatively straight forward. The girls weren’t rushed to make a choice with their shoes and they each tried on 2-3 pairs before they found the perfect ones. 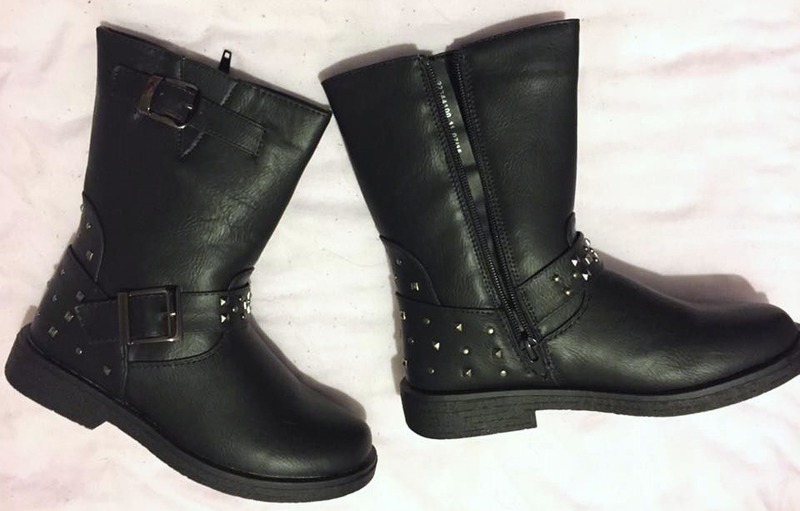 The eldest tried on some boots initially but we realised they were too wide for her feet, and then she tired on a variety of shoes that she felt weren’t comfortable or we told were not a good fit for her, finally settling on some boots. Bee just wanted colourful! The first pair were wide for her feet and we soon realised we would not be able to find a ‘perfect’ pair as her feet are different sizes. About half a size difference. Therefore it was suggested an insole was placed in the smaller foot. That helped make the shoes more comfortable for her to wear. The best thing about the Brantano Kids Fitting Service is that the fitters are very experienced. They are trained in Clarks, Hush Puppies and Start-Rite fitting techniques. The fitters follow a structured training programme and are only able to fit children’s shoes after 25 supervised fits. So it does feel like you are in safe hands. 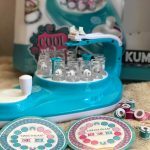 My eldest previously had her feet measured at Brantano which we wrote about in our Brantano Shoes post, but Bee also had a positive experience this time. 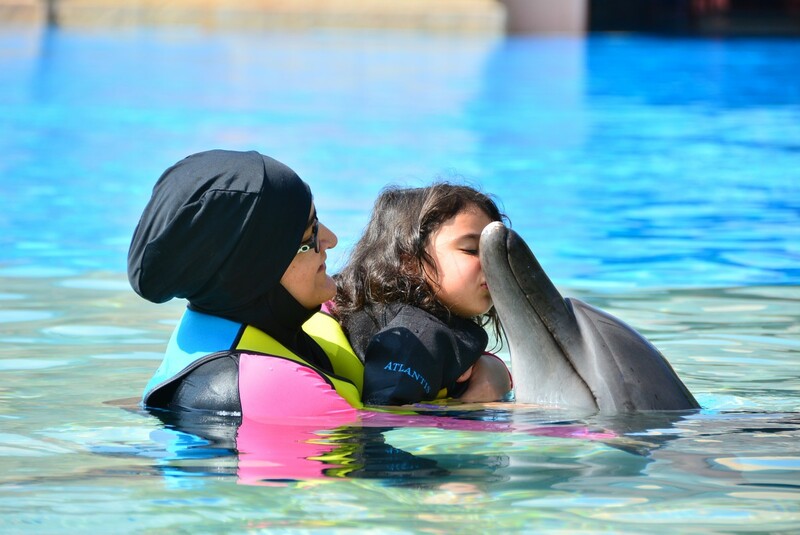 She was very talkative and the staff were friendly and put up with her non stop chatter! 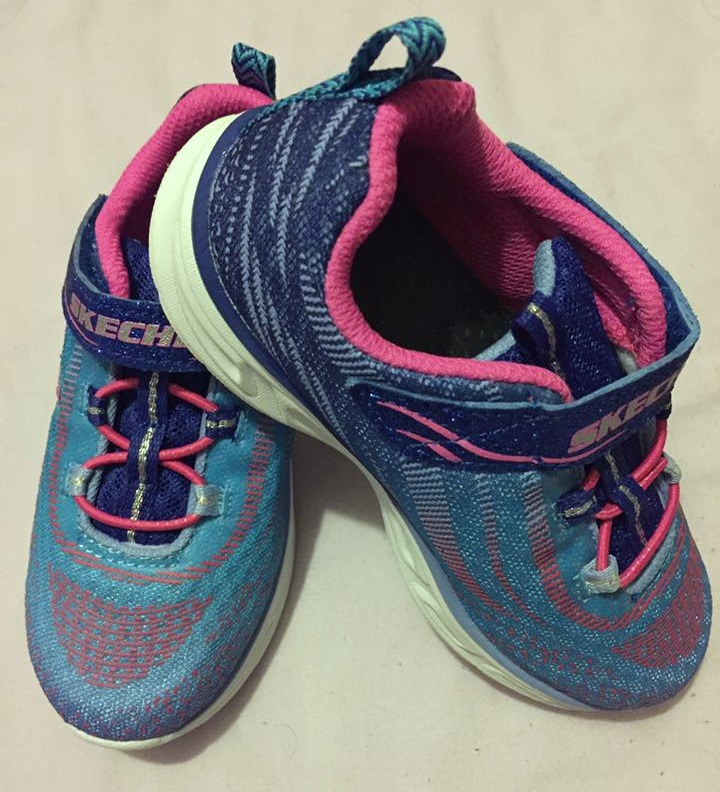 The fitter felt round the whole of the shoe and gave a squeeze at the front to gauge how much room there was left; there needs to be a small amount of growing room. Both girls came away happy and with proper fitting shoes. Disclosure: We received 2 pairs of shoes in return for a review of the fitting service. All thoughts and opinions are our own. This sounds like a great shoe fitting service. I like that you were all able to take your time to choose the right pairs. Getting a good fit is very important to little feet. I must admit I don’t get my son’s feet measured all that often and tend to wait till either the shoes wear out or he complains that they are tight. It’s a good idea to go regularly though and I did do it more often when he was younger. I haven’t been to Brantano for shoes before. Both of my kids have really narrow feet (daughter is a C fitting!) so I find it hard to get shoes that fit them properly. 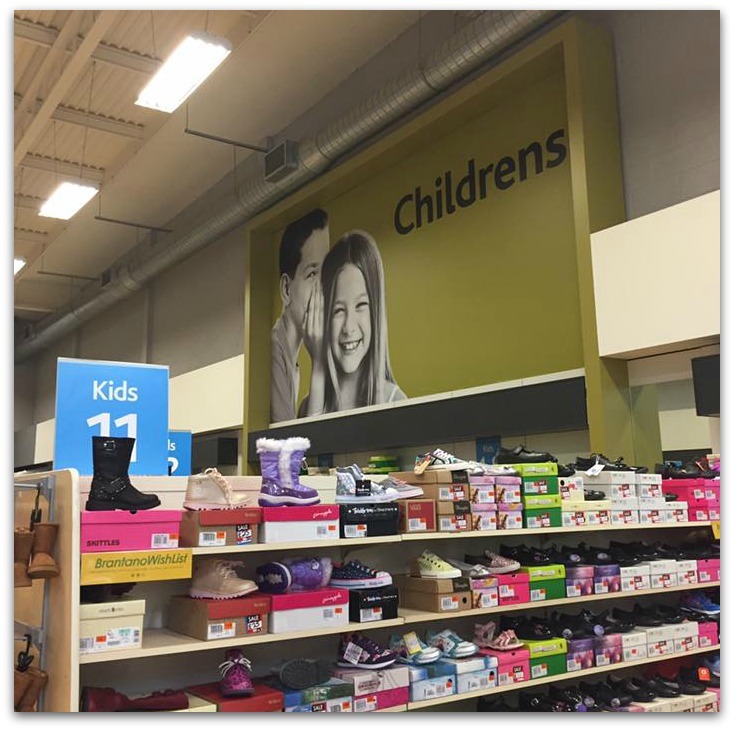 So nice to hear when a company takes kids shoes seriously. Would love have that available in Romania as well.